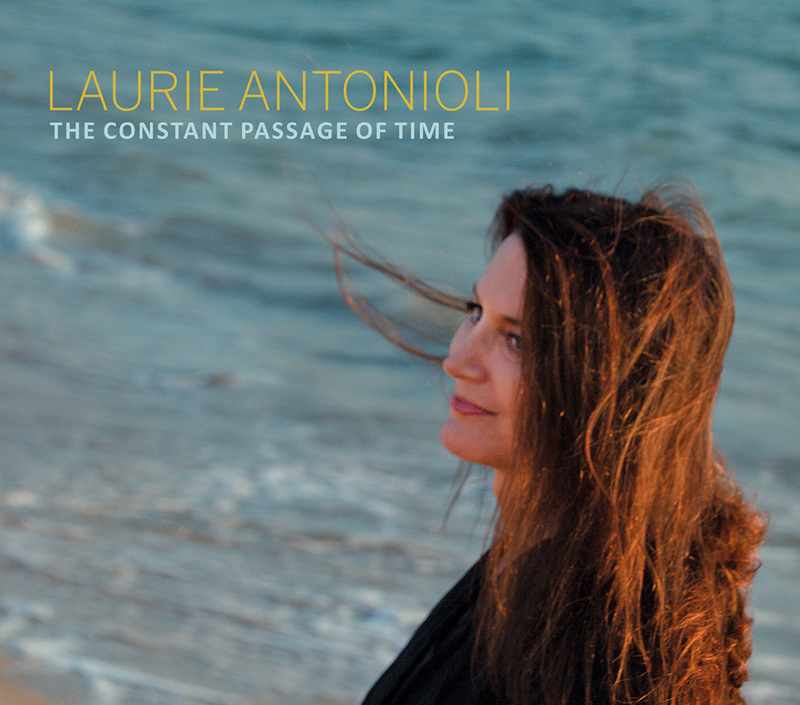 In recent years Laurie Antonioli has devoted herself — apart from her two intimate, resplendent duo albums with jazz master pianist Richie Beirach — to the sound of a working band. Her band, that is. On American Dreams (2010) and Songs of Shadow, Songs of Light: The Music of Joni Mitchell (2014), the Bay Area vocalist (and Chair of the Vocal Program at Berkeley’s California Jazz Conservatory) bonded with a tight, accomplished, versatile and deeply compatible cast of players, almost all of whom return here for a third inspired outing, The Constant Passage of Time.